MsMpEng.exe may sometimes cause high CPU usage on Windows computers. In this guide, we’re going to tell you everything you need to know about this process and how to fix some of the most common issues it triggers. Is MsMpEng exe a virus? MsMpEng.exe is a core process of Windows Defender. It’s not a virus. Its role is to scan downloaded files for spyware, and quarantine or remove them if they are suspicious. It also scans your system for known worms, harmful software, viruses, and other such programs. Can I stop MsMpEng.exe? Many Windows users, irrespective of the Windows version they use, have reported that sometimes MsMpEng.exe causes high CPU usage, reaching even more than 80%. To fix this problem, you can stop MsMpEng.exe from the Task Manager. 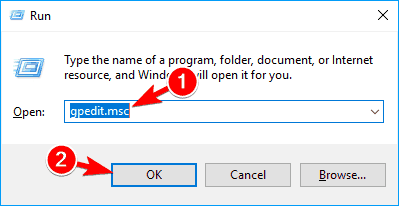 Msmpeng.exe end process Access Denied – According to users, sometimes they might get Access Denied error message while trying to end this process. To fix this problem be sure to try some of our solutions. Msmpeng.exe eating memory, CPU – Sometimes this process can cause both high CPU and memory usage. This can drastically impact your performance, so it’s important to fix this problem as soon as you can. Msmpeng.exe excessive disk usage – In addition to high CPU usage, disk usage problems can also appear. Many users reported that this process is responsible for high disk usage on their PC. Msmpeng.exe encountered a problem – Sometimes this process can randomly crash on your PC. You can easily recognize this problem by Encountered a problem error message. Msmpeng.exe running constantly – Many users reported that Msmpeng.exe is running constantly in the background. According to them, this is causing high CPU usage on their PC. Msmpeng.exe slow boot – This process can also affect your boot time. Many users reported that their PC boots slowly due to this problem. Msmpeng.exe keeps running – Several users reported that this problem keeps running in the background. 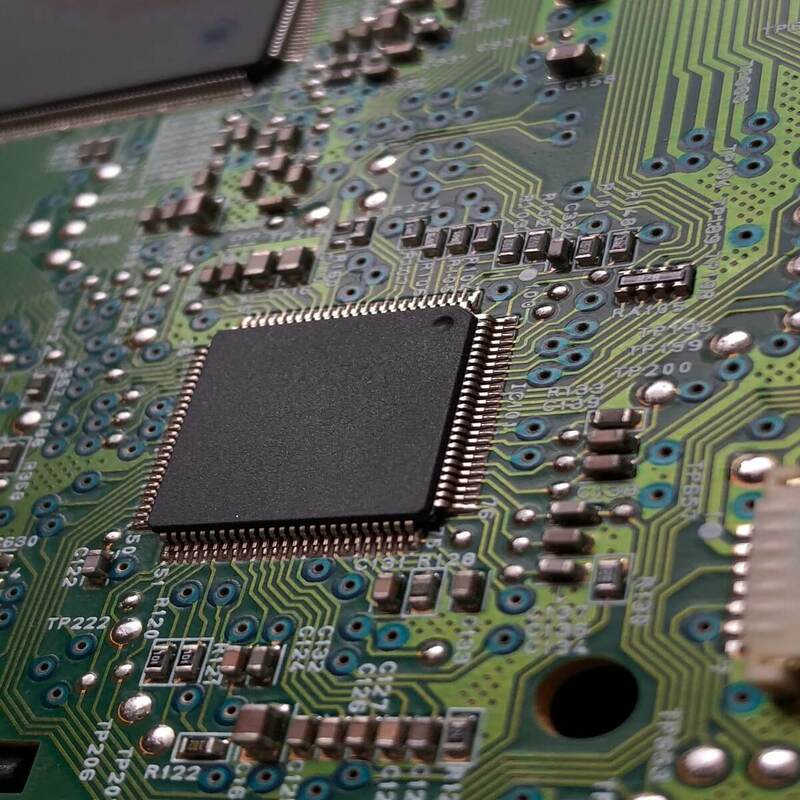 Due to high resource usage this process can drastically reduce your performance. Msmpeng.exe memory leak – Another common problem with this process are memory leaks. If this problem occurs on your PC, be sure to try some of our solutions. Malware installed on your computer. 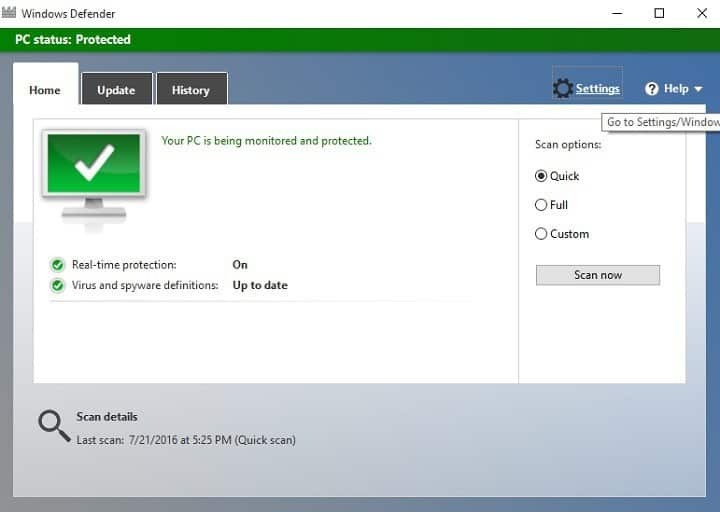 There are lots of free and paid antivirus programs available, and you can choose at any moment to remove Windows Defender, and replace it with a different antivirus. 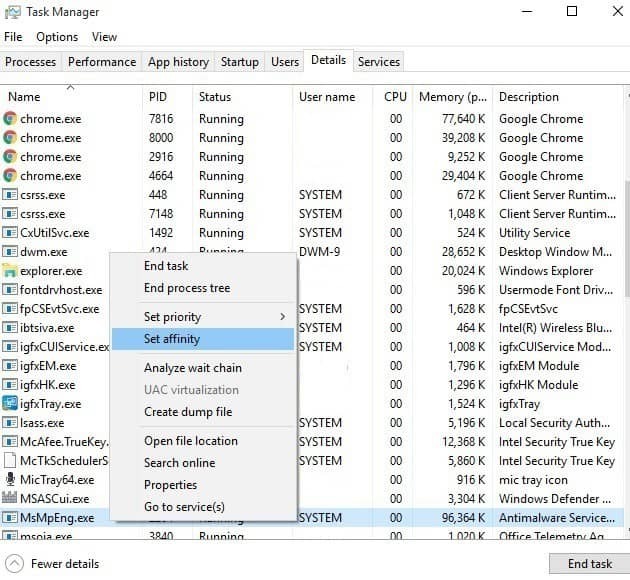 However, before taking such a decision fueled, perhaps by msmpeng.exe’s high CPU usage, you should try out the following workarounds to fix this issue. 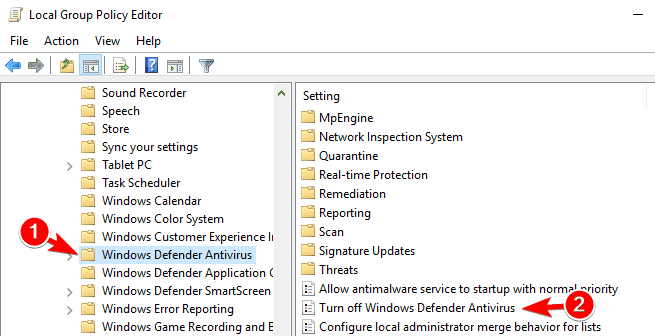 Go to Windows Defender > Tools > Advanced options. Open Excluded files and locations. Copy and paste the following path -> c:program fileswindows defender. Type Windows Defender in the search bar > double-click Windows Defender. 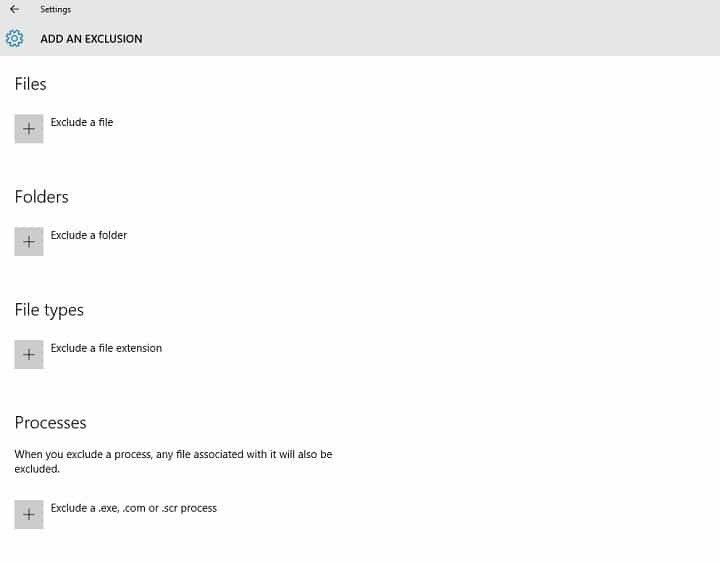 Go to Settings > select Add an exclusion (the option is located at the bottom of the page). 3. Select Exclude a file and paste the following path -> C:program fileswindows defender. 4. Validate by clicking on Exclude this folder. Right-click the msmpeng.exe process in the Task manager list. In the context menu, select Set affinity. Choose the cores which you allow the particular process to use. Go to Task Manager > More details > click on the Details tab. Right-click msmpeng.exe > select Set affinity > select the CPU limit threshold. Press F8 as your computer is restarting, before the Windows logo appears. When the Windows Advanced Options Menu appears on the screen, select “Safe Mode with Networking” and press Enter. When your PC restarts to the Choose an option screen, select Troubleshoot > Advanced options > Startup Settings > Restart. You’ll then see a list of options > press F4 to start your PC in Safe Mode. AdwCleaner – it has more than 125 million downloads. This free software is compatible with Windows XP, Vista, 7, 8, 8.1, and Windows 10. Malwarebytes – detects and removes malware, spyware, adware, and anti-rootkit tech. You can try it for free for 14 days or buy a one-year subscription for $25.95 or a two-year subscription for $41.95. 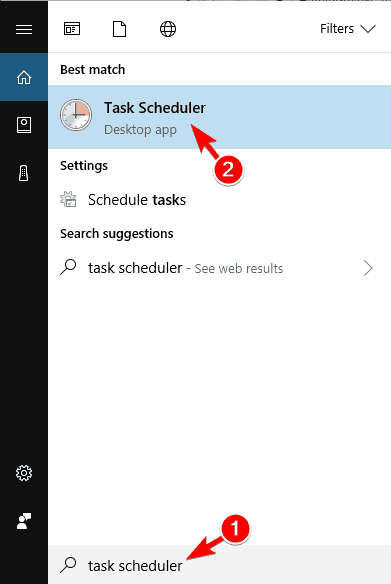 When Task Scheduler opens, in the left pane navigate to Task Scheduler Library/Microsoft/Windows/Windows Defender. 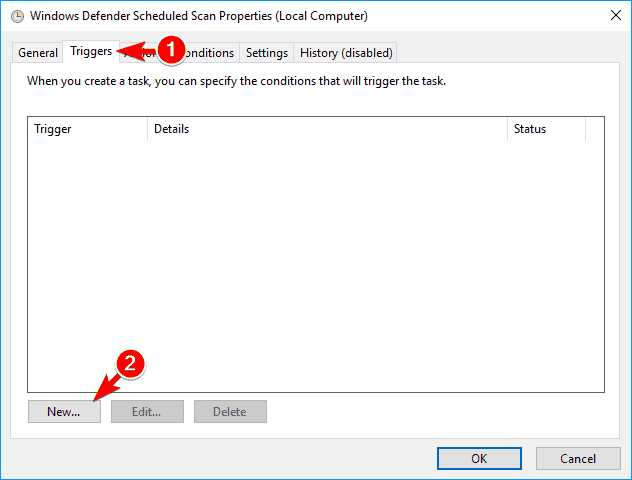 In the right pane, double click on Windows Defender Scheduled Scan. When Properties window opens, go to Conditions tab. Make sure that Start the task only if the computer is idle, Start the task only if the computer is on AC power and Start only if the following network connection is available options are disabled. Click OK to save changes. Open the Properties window again and go to Triggers tab. Click on New. Choose Weekly or Monthly and select the desired properties. Once you’re done, click the OK button to save changes. 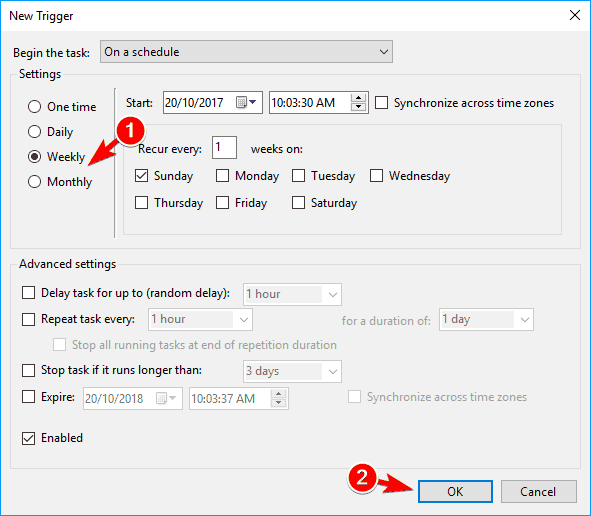 Now go back to Task Scheduler and make the same changes for all Windows Defender tasks. You should have these tasks remaining: Windows Defender Cache Maintenance, Windows Defender Cleanup and Windows Defender Verification. This is a bit advanced workaround, but you should be able to complete it by following our steps closely. 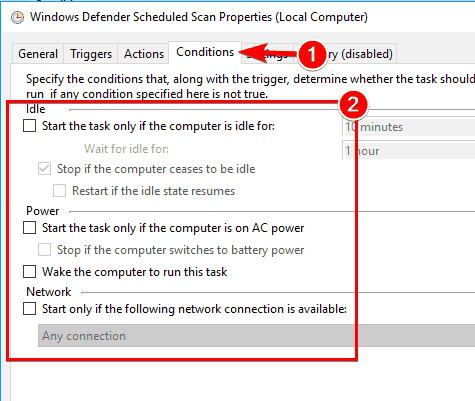 Keep in mind that high CPU usage will reoccur when Windows Defender starts scanning. However, you can schedule the scan to take place once a month in order to avoid this problem. 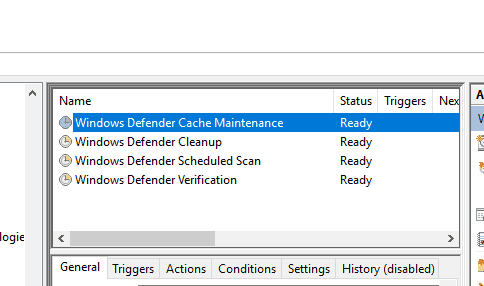 If you’re still having problems with MsMpEng.exe and high CPU usage, you might be able to fix the issue simply by disabling Windows Defender. Group Policy Editor will now start. 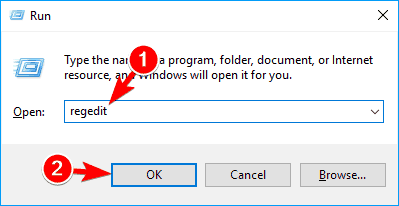 Keep in mind that this feature is available only on Pro and Enterprise versions of Windows. However, you can also install Group Policy Editor on Home versions of Windows. 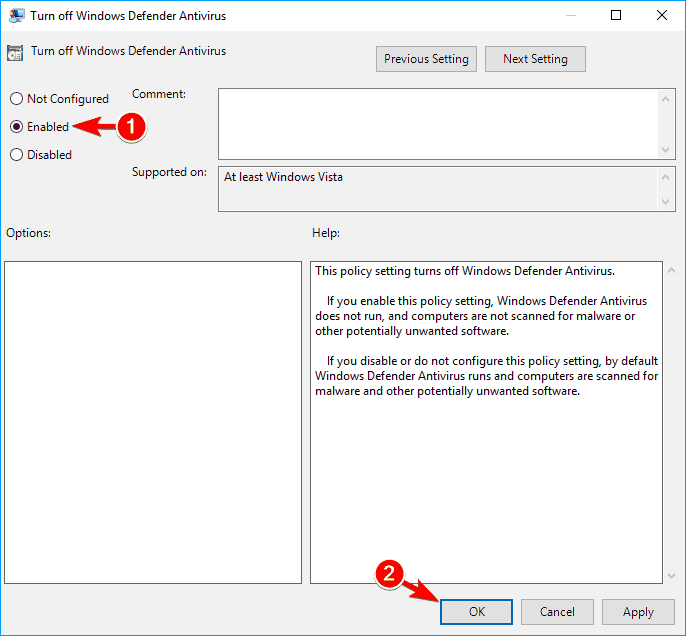 In the left pane, navigate to Computer Configuration > Administrative Templates > Windows Components > Windows Defender Antivirus. In right pane, double click on Turn off Windows Defender Antivirus. When Properties window opens, select Enabled and click on Apply and OK to save changes. When Registry Editor opens, in the left pane navigate to HKEY_LOCAL_MACHINESOFTWAREPoliciesMicrosoftWindows Defender. In the right pane, look for DisableAntiSpyware DWORD. 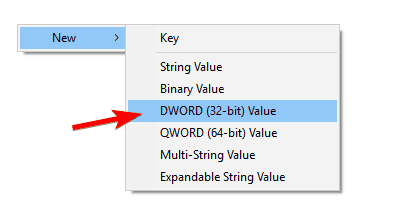 If this DWORD isn’t available, right click the empty space and choose New > DWORD (32-bit) Value from the menu. 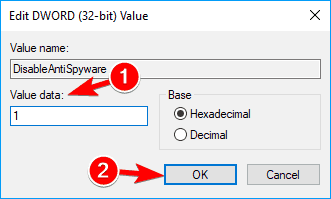 Now enter DisableAntiSpyware as the name of the new DWORD and double click it. Set the Value data to 1 and click on OK to save changes. 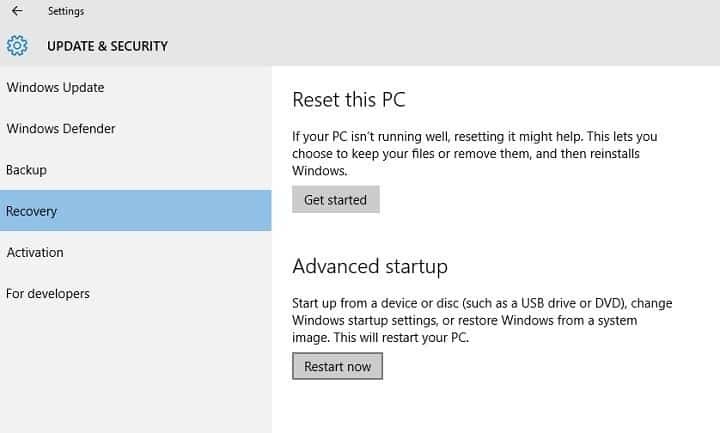 After making the changes, Windows Defender will be disabled and the problem should be resolved. According to users, problems with high CPU usage and MsMpEng.exe can appear due to Sample Submission feature. This feature sends problematic files to Microsoft for analysis. 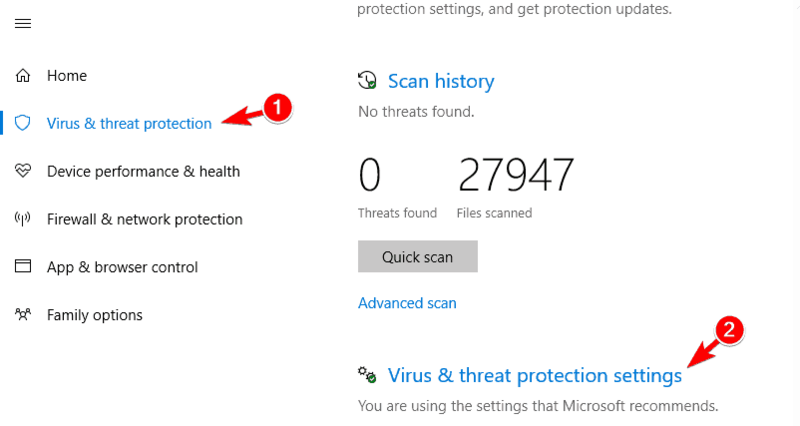 Navigate to Windows Defender on the menu on the left and click on Open Windows Defender Security Center. In the left pane, click on Virus & threat protection. Now click on Virus & threat protection settings. Locate Automatic sample submission and turn it off. If you are not satisfied with result of the solutions suggested above, check out this article which will help you to choose another antivirus program.